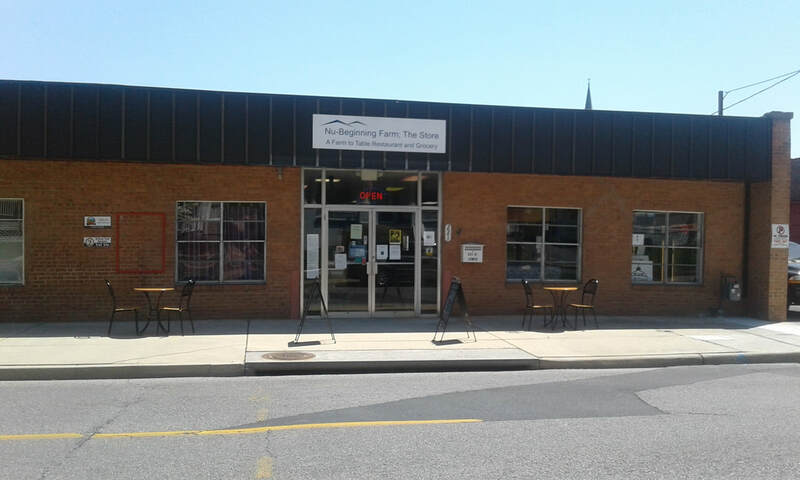 Nu-Beginning Farm: The Store is a micro-restaurant and grocery connecting local farms and producers with the community. Our focus is bringing delicious food and local products to you, in a unique and comfortable environment. We serve farm-to-table breakfast, lunch, and dinner, as well as homemade items such as pound cakes, jams, jellies, and pickles. We also offer house made scones, coconut macaroons, and gluten free cheesecakes, as well as frequent specials and treats. We offer a range of locally-sourced grocery items, local art and crafts, and beer, wine, and cider from some of Virginia's best wineries, cideries, and breweries.